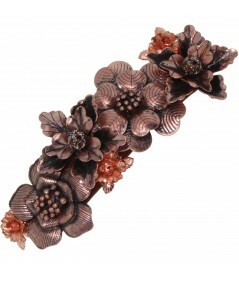 Metal Flower Barrette With Swarovski Crystal Beads. Makes a Great Bridal Accessory. Length 4 1/2"